Recently, the Academy of Motion Picture Arts and Sciences announced that it had partnered with the Linux Foundation to launch the Academy Software Foundation (ASWF). In its mission statement, the ASWF states that it is dedicated to increasing the quality and quantity of contributions to the content creation industry’s open-source software base. Per an Academy survey, 84 percent of the industry is already using open-source software in some capacity, so giving a home to developers to collaborate across media and entertainment companies to drive innovation makes perfect sense. Entertainment Partners (EP) has recently contributed to the open-source world by creating an automation testing platform created in-house called Nexial. In 2016, EP’s QA leadership team sought to improve the company’s longstanding efficiency issues with software testing. They created a new framework that accelerated test automation, by giving control to manual testers with domain expertise. The divergence of traditional architecture and more modern technology stacks, and frequent implementation of third-party software tools, had led to a fragmented testing approach. Traditionally, test automation requires programming skills, but EP’s new vision focused on enabling the quality engineers (QE) to become automation experts. 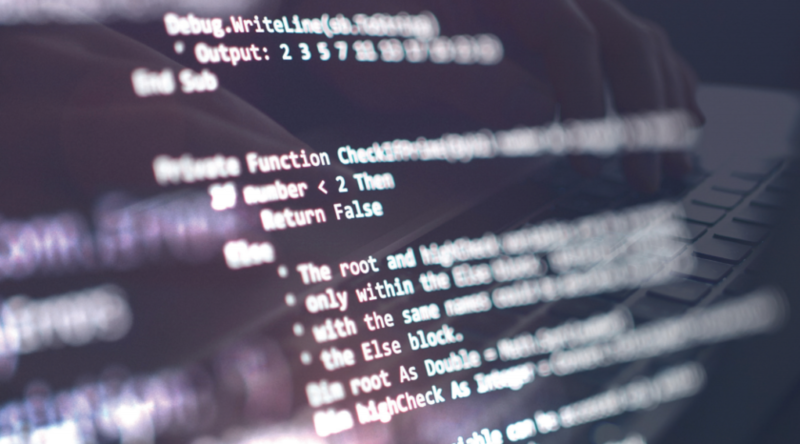 The platform empowers QEs to accelerate test automation by eliminating the need to write code and create in-sprint automation testing in a wide range of technology platforms, including legacy applications. One EP department that leveraged the Nexial technology at the outset was payroll tax. EP is an employer for payroll tax, workers’ compensation and various other purposes for over half a million production worker employees. Needless to say, tax season is one of EP’s busiest times of year. The W-2 is a complicated process, with lots of data points from multiple data sources. And of course, W-2 reporting is prone to human error, especially in the entertainment industry where crew and talent frequently move between projects and states throughout the year. Hence, even with 99 percent accuracy, changes and fluctuations in the industry have led to the issuing of several thousand W-2C corrected wage and tax statements. Historically, the testing process for W-2Cs required the tax team to print out and review stacks and stacks of paper. Checking and validating W-2Cs was a manual, time consuming and expensive process. This required copious amounts of printing paper, rekeying, and manual validation. They needed to automate the W-2C validation process and reached out to QA for a solution. The QA team embraced this challenge, collaborating with the tax team to develop an automated solution using the Nexial platform. This resulted in reducing the manual validation process the team had grown accustomed to, from weeks of highly manual work, to less than 20 minutes. This innovative process cut out the repetition, allowing the tax team to focus on value-added activities. Nexial continues to prove to be a vehicle for innovation throughout the company, resulting in significantly speedier workflows with a high degree of accuracy. EP’s tech team in Tempe, Ariz., recently utilized Nexial to write automated validation tests on the inputs being sent to a leading tax services provider. EP partners with this vendor to ensure precise withholding tax computations. In the U.S. alone, there are nearly 20,000 different “incorporated places” with employees’ subject to varying state and city taxes. Nexial allows for testing of hundreds of thousands of complex exponential variations to deliver payroll information to the provider with the utmost accuracy. One of the biggest benefits of Nexial is that it reduces the need for manual testing, allowing QEs to focus on higher value activity. EP QEs using Nexial no longer need to rely on automation coders. This allows them to essentially function like a Software Development Engineers in Test (SDET), without the need to program. By enabling QEs to use a wide range of automation capabilities, Nexial ultimately is increasing the speed and quality in EP’s software development cycles. Further, a major distinction of Nexial is that it supports a comprehensive range of platforms, including, legacy systems, web (browser), desktop, API/ REST/SOAP, database, batch, ssh. It can be integrated to existing collaboration tools including JIRA and Confluence, and supports FRIP (functional, regression, integration, performance testing). Nexial can be a game changer in entertainment, a monolithic industry, rife with legacy systems. It’s flexibility and ease of use makes it a highly effective platform for established companies looking to transform traditional testing to modern delivery. Nexial has proven to be instrumental in API, functional and black box testing. Studios and production companies would benefit from Nexial’s open-source platform to reduce reliance on third-party packaged testing tools; a key differentiator in cost containment. Studios could also use the platform to test production accounting and UI systems. With Nexial, EP has already had significant savings in both time and dollars by cutting out commercial testing tools from top technology providers. Open-source software is the future, with thriving communities making vital contributions that benefit both companies and the industry. Due to the sheer number of eyes on the platform, open-source software tends to be reliable, secure, and transparent. As shown with Nexial, open-source is frequently instrumental in providing solutions that are both innovative and cost-effective. One thing is clear — companies not using open-source software will find it much more difficult to compete. EP encourages our colleagues in the entertainment industry to try this innovative technology and looks forward to seeing contributions from others.